And to get a taste of this playful event, look out for the ice cream truck operated by TEEMTONE in Taikoo Place. Available on Fridays during the show. Free admission with registration on Taikoo Social (Please download Taikoo Social from the Google Play or Apple app store). L'Atlas (born in France in 1978) is an internationally renowned street artist. As a painter, photographer and videographer, he is known for his unique maze designs, painted facades and monumental performances set on the grounds of famous city landmarks. Willi Dorner (born in Austria in 1959) creates events that give audiences a different perspective on everyday life. Best known for his imaginative art project Bodies in Urban Spaces which features up to twenty colourfully dressed performers intertwining and stacking their bodies in doorways, on ledges, landings, and park benches. 1. The exhibition opens from 12noon to 10pm daily between 27 March and 12 April 2019, except 28 March, it opens from 2:30pm. 2. 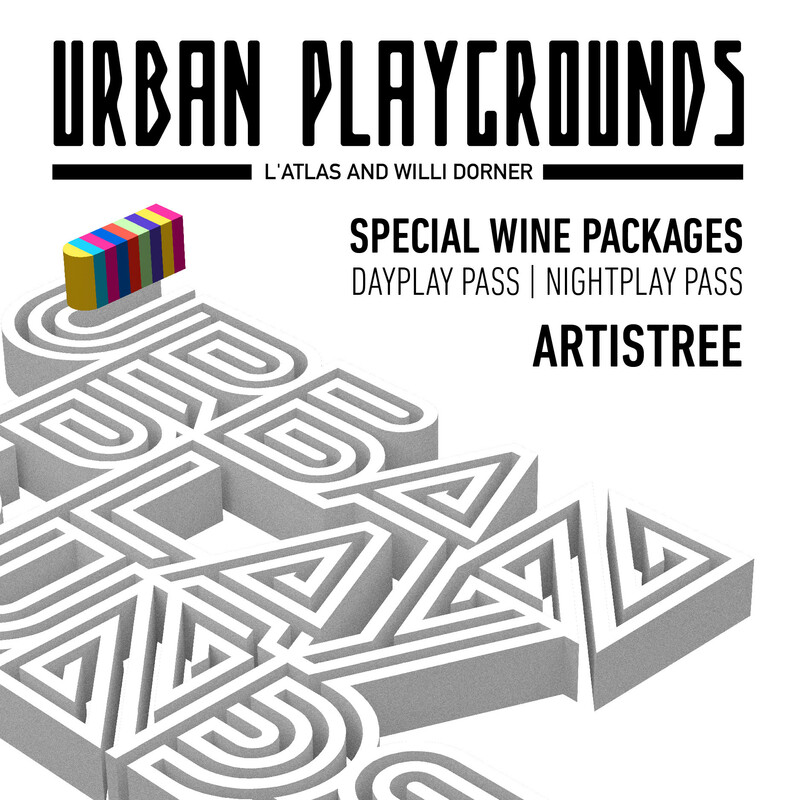 The ticket registrant for DayPlay Pass can enjoy one drink and four canapés from 12noon to 5pm; the ticket registrant for NightPlay Pass can enjoy includes free-flow of drinks and unlimited signature canapés from 5pm to 10pm at the bar of the exhibition. 3. 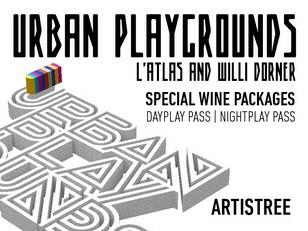 The last admission time for NightPlay Pass is 8pm. 4. Ticket registrant will be notified via email within the same day and will receive a QR code for admission. 5. Each ticket admits one registrant only. A valid ticket entitles the holder to attend the event on the date and time as stated on the ticket. 6. Please present your QR code to check in (a print-out or an electronic version). 7. Proof of age may be required. Swire Properties Limited will refuse to serve and sell alcoholic beverages to any person who is underage or failed to present the valid proof of age. Swire Properties Limited may at its absolute discretion refuse to serve and sell alcoholic beverages to any person who appears to be not suitable to be served and sold with any alcohol. 8. Swire Properties Limited reserves the right to determine the time latecomers will be admitted and the right to refuse admission to latecomers. 9. Swire Properties Limited reserves the right to take photos or video-recordings during the exhibition and to use the above photos and videos for any promotional usage. 10. Ticket registrants should be responsible for their own safety and must comply with the rules and regulations of the venue. 11. Swire Properties Limited is not liable for any loss of personal belongings or harm caused to the ticket registrants during the visit. 12. Swire Properties Limited reserves the right to make changes to the programmes. 13. If there is any inconsistency or ambiguity between the English version and Chines version of the terms and conditions, the English version shall prevail. 14. Should any disputes arise, the decision of Swire Properties Limited shall remain final. 15. By registering and redeeming tickets for the event, you agree to the terms and conditions set out above.